Growing up, I frequently participated in outdoor activities like sports and skateboarding. However, a large portion of my childhood was spent indoors in online communities with always-on conversations. Whether it was designing forum signatures for fellow members in the Halo Forums or learning how to install modchips from Xbox modding threads, I was always fascinated by these online worlds. 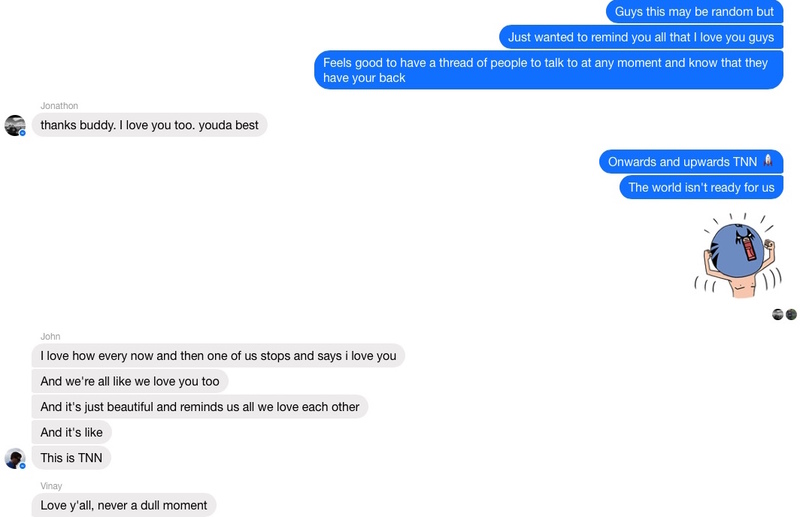 Whenever I felt lonely, I tried to turn things around by jumping into these conversations to learn and grow with my Internet friends. 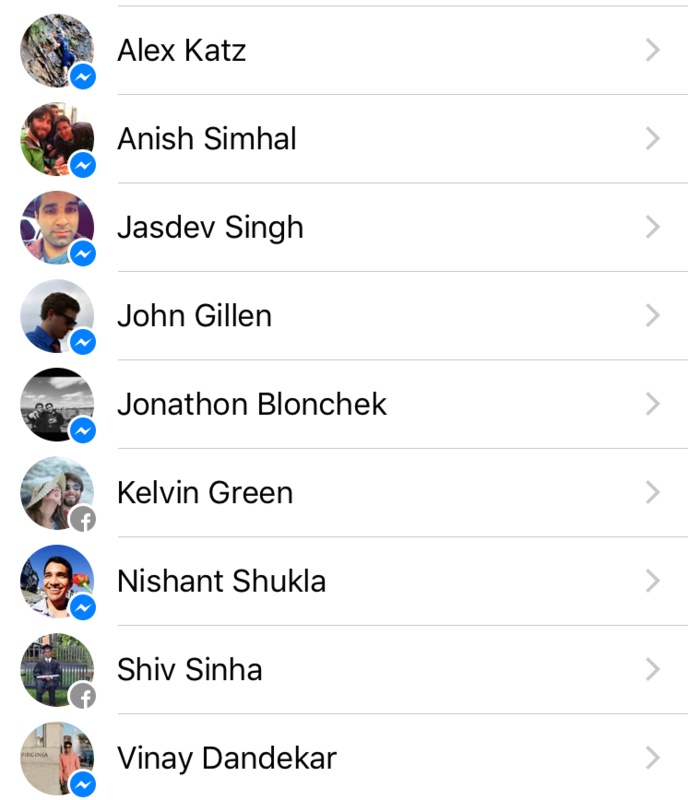 Fast-forward to my time in college—I unfortunately lost touch with my online friends as life started moving faster. However, in February 2013, something amazing started. 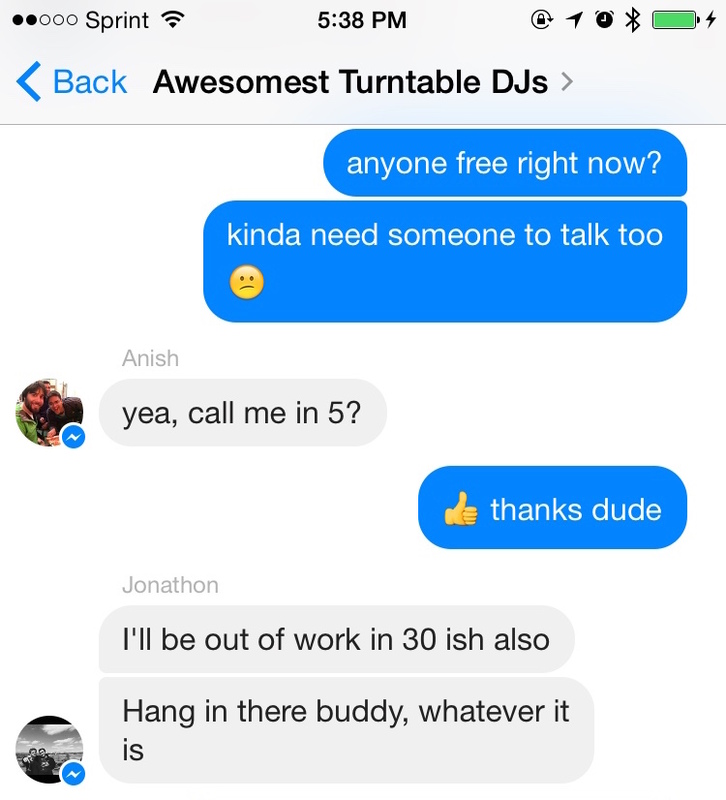 Eight close friends and I created a Facebook Messenger thread called “Awesomest Turntable DJs”1 (a reference to an old music streaming service, Turntable.fm). Roughly three years later, we have sent over 166k messages (an average of 173 per day). While some may consider it distracting, this thread has helped me through the toughest times of my life so far. Balance is key here. When the messages get too noisy, I take a step back and mute the thread for a few hours. This allows me to find my own headspace. That’s the beauty of asynchronous communication!